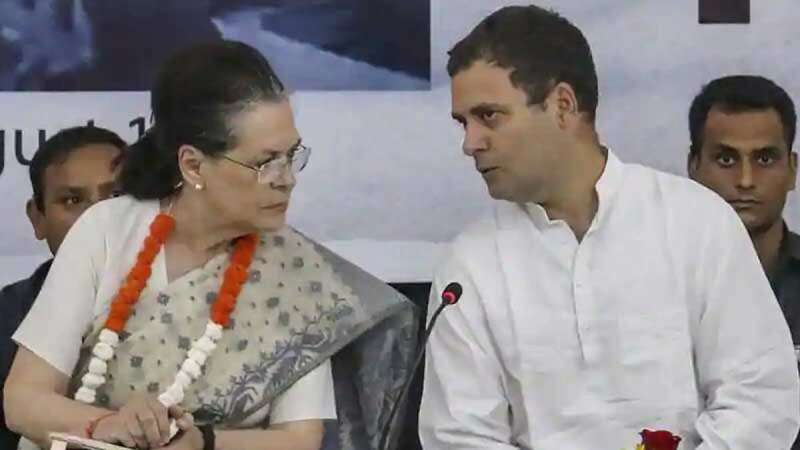 Lucknow : The Congress party on Thursday released list of 15 candidates for the upcoming Lok Sabha Polls, naming UPA chairperson Sonia Gandhi, 72, as the party’s candidate from Rae Bareli and Rahul from the Amethi seat. With Sonia Gandhi's name announced, speculations on Priyanka Gandhi Vadra's entry into politics ended; the latter was nominated general secretary in-charge of east UP last month. The list comprises 4 Lok Sabha seats in Gujarat and 11 in Uttar Pradesh where a formal alliance with the three-party combine led by Akhilesh Yadav, Mayawati and Ajit Singh did not work out. Akhilesh Yadav and Mayawati had earlier announced that no party front face will contest from Rae Bareli or Amethi to avoid cutting down anti-BJP votes. BSP-SP seat sharing was announced a couple of weeks ago. The Mayawati-Akhilesh team has already allocated 38 seats to the BSP, 37 to the SP and 3 to Ajit Singh’s Rashtriya Lok Dal. In 2014 General Elections, Congress had managed only 2 seats in Uttar Pradesh.